This report spotlights some of the projects using LEED to help lead Europe to a greener future, and presents data regarding current building trends and opportunities. 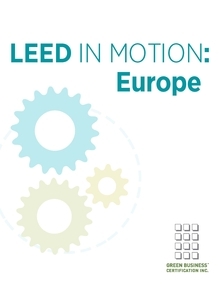 This report illustrates how we have realized important successes around the world through LEED, and it celebrates the many of the successes in Europe that have been especially noteworthy. Europe plays an important role for the future of the entire green building movement, particularly when it comes to the existing buildings market. With the existing market in mind, we are increasing our local capacity in Europe, and providing new tools that make it much more practical for the European building community to integrate LEED into all project types, not only for new construction, but also for renovations and retrofits. We thank you for your interest in LEED, and hope to partner with you on many projects in the years ahead.